What options are available for businesses thinking about network failover? Modern enterprises are reliant on consistent Internet connectivity. Outages can have an immediate impact on revenue, render a company to unable to meet compliance obligations, and significantly increase security risks. More difficult to calculate is the damage that will be caused to a brand’s reputation, and the continuing loyalty of its customers. In today’s globalised business landscape, organisations have multiple locations and connections to manage. One location can be bad enough, but what happens when a wired Internet connection fails at several locations simultaneously? Distributed enterprise networks now include connected people and ‘things’, as well as more traditional branch connectivity. Just a few minutes of network downtime can propel ripples of disruption across an entire global organisation. Andrew Lerner at Gartner estimates that every hour of downtime typically costs an organisation $300,000 per hour. For global publicly traded companies, the impact on share price can increase the cost considerably. Take British Airways (BA). In May 2017, widespread network downtime resulted in thousands of flight cancellations and even more unhappy customers. International Airlines Group (IAG), BA’s parent company, lost €400 million in share value following the outage. BA now faces a potential compensation bill of more than £100 million. The reputational damage is perhaps incalculable. Contracts from large Internet service providers typically promise uptime approaching 98.5 per cent, implying potential downtime of up to ten hours a month. Once you add multiple locations into the mix, the hours per month for a distributed enterprise could be staggering. The danger of a network outage due to a failure in Internet connectivity is therefore a real possibility for many enterprises. The question is not if, but when. offer enough bandwidth or reliability to run mission-critical applications. Most businesses use Ethernet, DSL or cable, and upgrading these to T1 can increase Internet availability and reduce downtime from four hours per month to just fifteen minutes. T1, however, will not provide enough bandwidth for most enterprises to run all of their day-to-day applications. Instead of upgrading an existing connection, an enterprise can opt for a wired redundancy solution. Distributed enterprises may consider an E1 line, but these can cost up to ten times more than a DSL or Ethernet line. Upgrading to an E3 line can increase availability to almost 99.99 per cent, but for many companies the implementation and maintenance of this technology is simply unaffordable. E3 lines can be more than three times as expensive as E1 lines. As a failover solution, wired connections will often be subject to the same conditions as the primary connection. Most wired lines are laid in the same trench and are subject to the same physical damage as primary WAN connections. Organisations will need to consider whether installing an additional wired connection as a business continuity solution will actually work in practice. The speed and reliability of 4G LTE offers always-on, cost-effective connectivity. Significantly, there is no wired connection subject to physical damage like traditional WAN connections. Compared to wired failover solutions, wireless offers speeds fast enough to keep an enterprise network running at a fraction of the price. The relatively low cost of 4G LTE as a business continuity solution means businesses can scale rapidly, whilst also achieving a greater return on investment. Distributed enterprises are often lean and agile. Wireless 4G LTE failover solutions provide the same reliability and competitive advantage that large enterprises achieve with expensive wired connections. They offer always-on connectivity, maximum uptime, speed-to-deployment, cost-effective scalability, and ease of management with limited IT resources. 1. Will the solution offer simple, scalable deployment, maintenance and control over all of the enterprise’s locations? 2. Will the router integrate with existing network infrastructure, or will it replace the current router and modem? 3. Will the solution enable various network security architectures, such as Virtual Private Networking (VPN), cloud-based security, network segmentation, or Parallel Networking? Distributed enterprises usually do not staff a full IT team at each location or branch. This requires a scalable solution that enables remote management, monitoring, and configuration. Data usage will also be a concern for enterprises that choose a 4G LTE failover protection, as each location may have changing data needs from month to month. Real-time data usage monitoring and load-balancing will therefore be an important consideration. Those enterprises seeking ‘overlay failover’ — a solution that meshes with the existing wired primary connection — will also need an IP pass-through solution with the ability to convert the broadband signal to Ethernet. Security implications of a wireless failover solution will also be a concern. Many businesses frequently transmit highly sensitive data and do not always have IT personnel on site with security expertise. As with the primary network, the business continuity solution should be optimised for maximum security and PCI Compliance, so a primary network outage does not constitute a security risk. An ideal failover solution should have the flexibility to merge with the enterprise’s existing security architecture. A wireless LTE solution can be just as effective as a primary Internet connection. Trade shows, construction sites and other ‘pop-up’ environments are just a few situations where a business might need an instant network that can be deployed in minutes or hours, not weeks. The relatively low cost of 4G LTE gives organisations more profitability and greater scalability for networks with multiple sites where other options are simply not available. In the past, this challenge was amplified by the fact that bringing connectivity to new locations traditionally required running new wired lines. This takes weeks, even months, of forward planning. The functionality would still need to support multiple devices and applications and as such, the endeavour could carry a hefty price tag. The same principles that make 4G LTE an optimal failover solution can be applied to primary connectivity. With speeds to support enterprise-grade devices and applications, and the cost effective flexibility to be deployed almost anywhere, it can be a natural fit for networking needs. 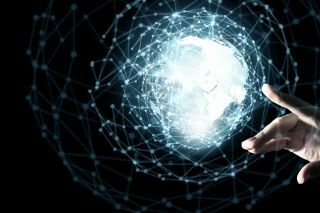 In today’s increasingly distributed enterprise, connectivity is key. Even short periods of network downtime can have an immediate impact on revenue and can leave a company exposed to a range of compliance, regulatory and security risks. While there are a number of options available to help solve this problem, wireless failover solutions offer the best balance of efficiency and effectiveness for modern enterprises. Increasingly, businesses are harnessing the benefits of 4G LTE networks for permanent primary connectivity. These businesses are optimising and pooling data usage among multiple distributed locations, deploying their networks faster than the competition, and have the ability to manage their networks remotely with minimal IT support.